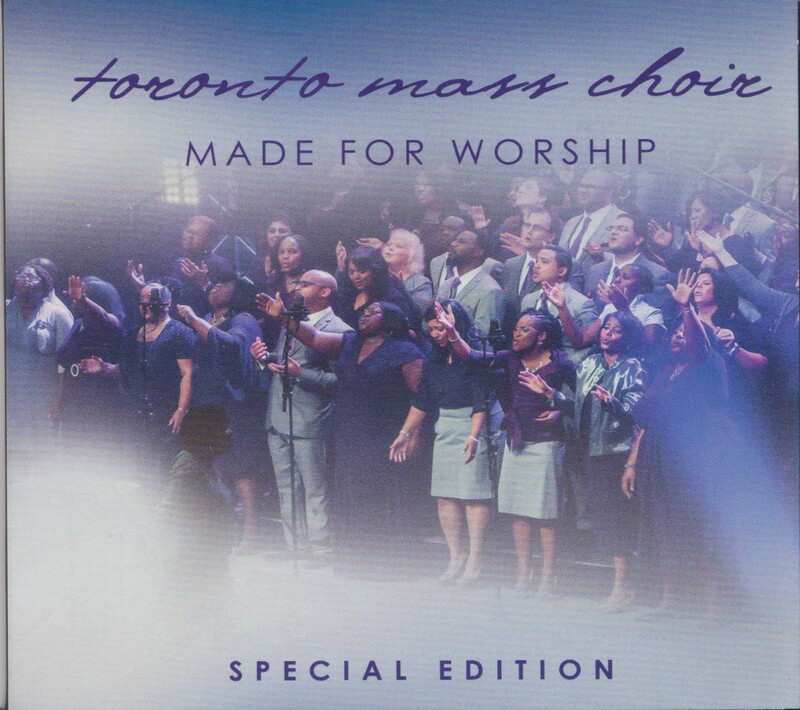 The Toronto Mass Choir hits overdrive with the opening song of its 10th CD, Made for Worship – Special Edition, and doesn’t let up on its energy and vitality throughout. For almost three decades, the Toronto Mass Choir (TMC) has eloquently translated traditional gospel, contemporary gospel and Caribbean-influenced songs from the music page to hand-clapping, soul-inspiring and life-changing concert experiences. The recently-released 10th CD is, in part, a re-release of its May 2014, Covenant Award-winning limited edition CD/DVD – with new content, arrangements. The CD follows the typical musical peaks and valleys of a traditional gospel concert, with slower tempo numbers like “You Are,” “Your Name,” “Tribute to the King” and “Made to Worship” surrounded by more up-tempo songs. This is where a choir’s energy can flag (something I’ve experienced playing with and listening to brass bands). To the choir’s credit, even at the slower tempos, the TMC members focus as much energy on these numbers as they do the rest. Rounding out the excellence of the CD are: 1) top-notch musicians including Snarky Puppy’s drummer Larnelle Lewis (who also plays with the Mike Janzen Trio); and 2) excellent production by Corey Butler. With Made for Worship the listener is reminded that we were created for worship through every note and word the TMC sings.